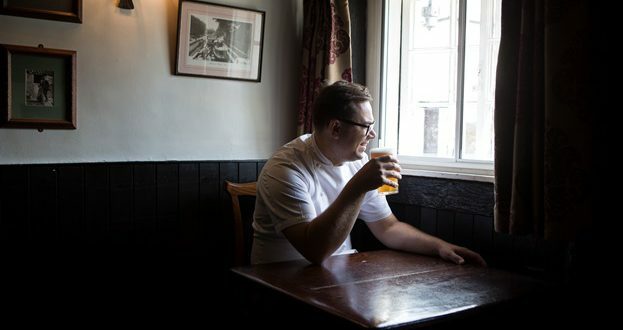 ‘We’ve just tasted our way through thirty pork pies to see which one we should include on our ploughman’s – none of them were good enough, so we’re going to be trying thirty more over the next few weeks.’ It’s hard to imagine a pub chef with standards these high, but then Matt Larcombe isn’t a normal pub chef; he runs the kitchen at Heston Blumenthal’s The Crown at Bray, just round the corner from The Fat Duck. 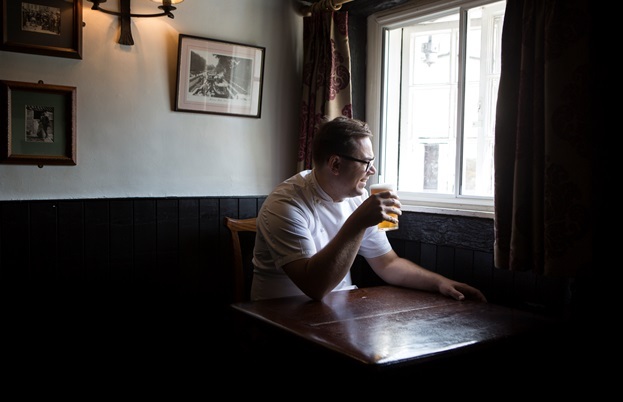 While it doesn’t have the stars, the worldwide acclaim or the dry ice and levitating pillows that grace The Fat Duck’s dining room every night, it does serve some of the best pub food in the UK. As part of The Fat Duck Group, the chefs there have access to some seriously high tech experimental and development kitchens (which happen to be literally next door) to hone their recipes. You might walk into The Crown expecting a classic British pub, but one look at the menu will tell you it’s so much more. There are always going to be certain assumptions about a Heston-owned pub; are the pints served in floating glasses with a side of pork scratching ice cream? Do you have to book months in advance for a multi-course tasting menu that riffs on pub favourites? The answer, it turns out, is no. The Crown is, at its core, a classic British pub; just with a few little frissons going on behind the scenes.